Aviolanda Woensdrecht is a sustainable development area with an eye for people, business and environment. This passion has been confirmed in the Spatial Aviolanda vision and the 2011 Cooperation Agreement. The Cooperation Agreement states that the parties must make every effort to develop Aviolanda Woensdrecht as sustainably as possible. To ensure this was measurable, visible and tangible, an initial baseline measurement was done and opportunities for growth and improvement were mapped out accordingly. This was included in the Sustainability Statement which Aviolanda signed. In March 2015 eleven different parties signed the Aviolanda Sustainability Declaration. 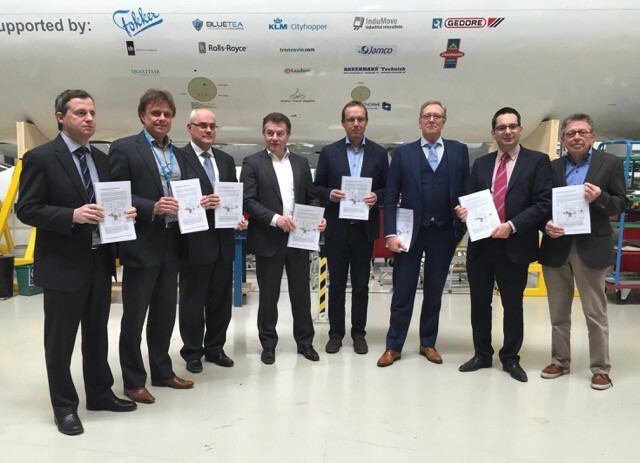 The parties that signed the Declaration are the Ministry of Defense, Province of North Brabant, Brabantse Delta Water Board, Benegora, Fokker Elmo, Fokker Services, Prop Planting Works, ROC West-Brabant, AM & TS, Business Park Aviolanda and the council of Woensdrecht. By signing the agreement, the parties commit to the aforementioned ambitions. They underline that the ambitions in the reporting are optimally used in the development and implementation of new projects.